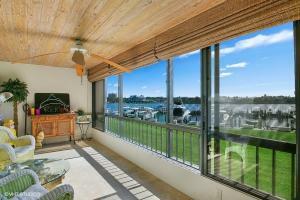 1648 Jupiter Cove Drive #212 Jupiter, Fl 33469 has been sold. You can view available homes in Jupiter Cove. 1648 Jupiter Cove Drive #212 located in Jupiter, FL is a condo with 2 bedrooms, 2 full baths and 0 half baths.The Condo at 1648 Jupiter Cove Drive #212 was built in 1980 in Jupiter Cove and offers a 0 car garage. This Jupiter Cove Condo offers pool, boating, tennis, clubhouse, elevator, lobby, exercise room, extra storage, community room, trash chute, picnic area, sidewalk, manager on site, street lights. 1648 Jupiter Cove Drive #212 Jupiter, Fl is currently listed for $499,000 under the MLS# RX-10475909. This Condo has been put on the Jupiter MLS system and currently has a status of SLD.